Yesterday the Aconcagua Rapid Ascent team hiked up to Cerro Colorado (15,500′ / 4724m) just behind Base Camp. They enjoyed great views of the Polish Glacier and the South Face as well. The team is moving to C1 (Camp 1) today and they plan to summit on Tuesday, weather permitting. 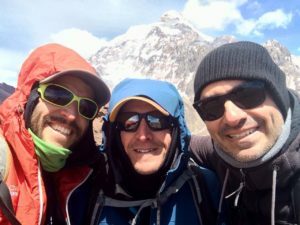 The team members all feel good and strong for their summit push of Aconcagua (22,841′ / 6962m). 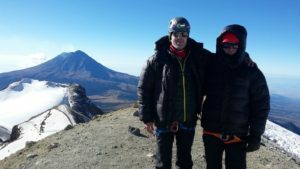 Despite the strong winds and cold temps, the Volcanoes of Mexico Climbing School team summited Iztaccihuatl (17,154′ / 5229m) yesterday. The team is currently in the town of Puebla and enjoying a much-deserved rest day before they climb Orizaba (18,410′ / 5611m). The Ecuador Climbing School team is all settled into the Hacienda Pinsaqui in Otavalo. Lead guide, Logan Talbott, told us this place emanates history, it is beautiful, old and very welcoming! Yesterday they continued to work on skills, with lots of time devoted to moving over snow and ice. 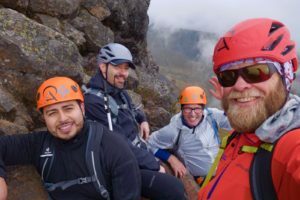 They will begin their summit push of Cayambe (18,996′ / 5790m) very early Friday morning and regardless if they succeed or fail, they are guaranteed to have a most excellent adventure! Interested in our international expeditions? Click here to check out our website. For questions shoot us an email info@alpenglowexpeditions.com or call the office 877-873-5376.